GN has created the first suspended membrane sample substrates on hexagonal silicon frames! Greater then 2 millimeters of nearly clear aperture let's you image and measure larger structures with all the advantages of suspended membrane technology! 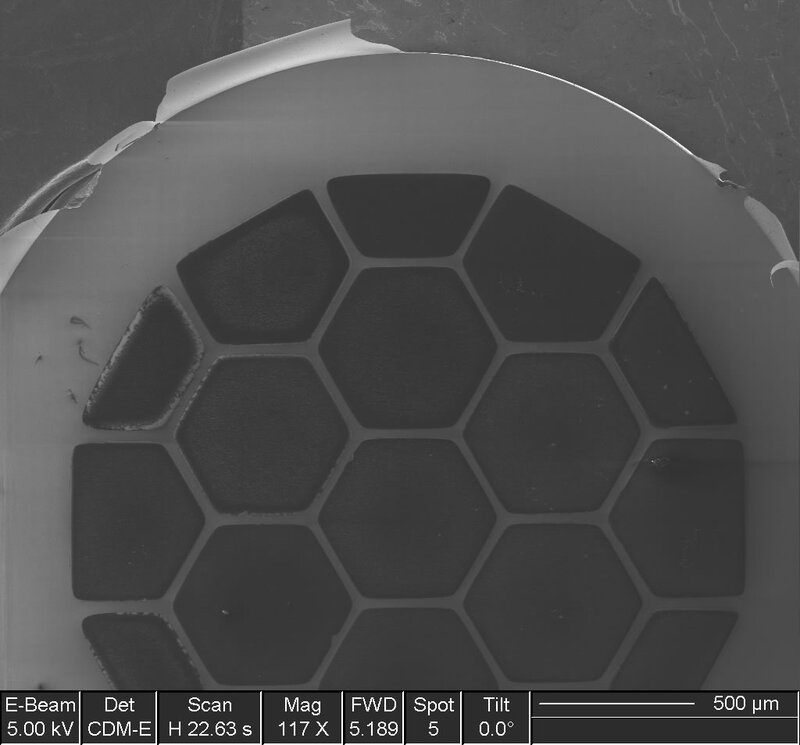 Nanotool™ TEM is a set of nine 50 nanometer thick Silicon Nitride low stress films on a silicon frame for mounting samples for Transmission Electron Microscopy and other applications. Diamond Like Carbon films as thin as 20 nm and 100 micron substrates are available on special order. 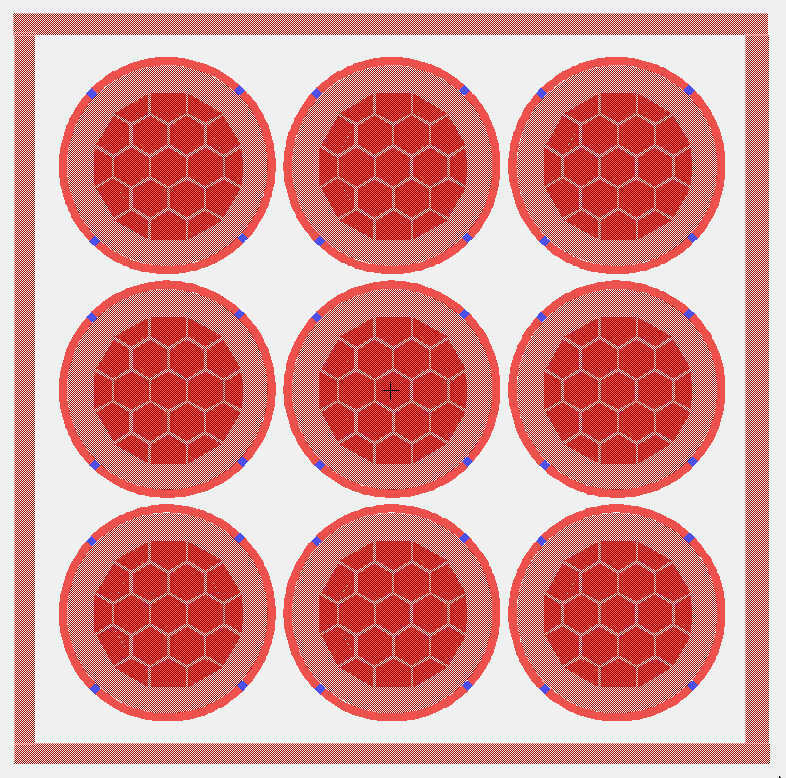 GN's proprietary membrane sample carriers are the first to offer a full 2 mm nearly silicon free aperture with centered central hexagonal cells each with 576 microns of diagonal suspended membrane!